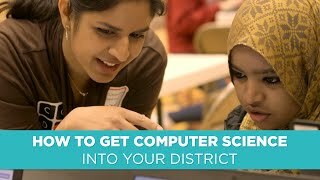 This year-long course can be taught as an AP or non-AP course - no prerequisites required for students or for teachers new to computer science! In addition, our curriculum is available at no cost for anyone, anywhere to teach. For more information about our goals and approach to our courses, please see our curriculum values and our professional learning values. Code.org is recognized by the College Board as an endorsed provider of curriculum and professional development for AP® Computer Science Principles. 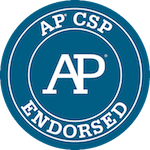 This endorsement affirms that all components of Code.org CS Principles’s offerings are aligned to the AP Curriculum Framework standards and the AP CS Principles assessment. Using an endorsed provider affords schools access to resources including an AP CS Principles syllabus pre-approved by the College Board’s AP Course Audit, and officially recognized professional development that prepares teachers to teach this course. The Curriculum Guide contains details about the classroom and student practices that flow throughout the course, overviews of each unit, and implementation considerations. Daily lesson plans come with detailed instructions, activity guides, assessments, standards mappings, and more. Create and manage your classroom sections, check student progress, administer assessments, and integrate with your Google or Clever classroom - all from your Teacher Dashboard! Teaching CS Principles as an AP course? Don't forget to submit the 2018-19 AP Endorsed Syllabus for the AP course audit. Students get hands on experience with concepts like binary and pixels through computational widgets. Students learn how the multi-layered systems of the Internet function as they collaboratively solve problems and puzzles about encoding and transmitting data, both 'unplugged' and using Code.org's Internet Simulator. Students learn how complex information like text and images is stored in a computer and the way compression helps reduce the size of those files. Students research current events around the complex questions related to public policy, law, ethics, and societal impact. Students are also introduced to the basics of how and why modern encryption works. This unit provides activities and resources for students to prepare for and complete the AP Explore Performance Task, which requires students to identify a computing innovation, explore its impact, and create a related digital artifact. This unit provides activities and resources for students to prepare for and complete the AP Create Performance Task, which asks students to develop a program on a topic that interests them or one that solves a problem. After the AP Test, students learn how to analyze data using spreadsheets and use App Lab's database capabilities to create apps that store data in the cloud. Use, share, and customize the resources, as they are distributed under a Creative Commons Attribution Non-Commerical ShareAlike License see our Terms of Service. If you are interested in licensing Code.org materials for commercial purposes, contact us. Sign up for our monthly emails, which contain the latest news about tools, videos, and other important updates for CS Principles. We have forums for educators to discuss and trade ideas about CS Principles and talk about the curriculum. Code.org forums are used for all of our courses, K-12. What materials do I need for this course? Many lessons have handouts that are designed to guide students through activities. While these handouts are not required, we highly recommend their use. How can I access answer keys? With an approved teacher account you can find answer keys in a blue "Teacher Only" panel that shows in the online lessons and activities. Teachers in our professional learning program will automatically be approved to view answer keys. If you need an approved teacher account, any teacher can apply for Code Studio access to protected teacher-only materials (answer keys, etc) through this form. Is CS Principles mapped to standards? What is the recommended timing for teaching CS Principles? We recommend that CS Principles be taught as a full year course, assuming that you meet with students daily or nearly daily for 45 or more minutes. Full-year schedules where students are in class for a similar amount of time per week will also work. It is possible to teach the course on a semester block schedule, though we highly recommend this implementation only be used in the fall semester. Since the AP Performance Tasks are due in late April and require 20 dedicated hours of class time to complete, most schools find there is not enough time to complete the course on a block schedule in the spring. How can I communicate with other teachers who are using the curriculum? Check out our forum at https://forum.code.org. There you'll find a space for general CS Principles discussion as well as unit- and lesson-specific threads. Can I give feedback on the lessons? Yes, please! Our desire is that the curriculum will be a living document and not something set in stone. We are open to changes or alternatives to lessons so please send us your feedback by using the CS Principles forum. Our middle and high school programs offer year-round support. The program kicks off with a 5-day summer workshop where you'll have an opportunity to work hands-on with the curriculum and meet other teachers from your area. Throughout the year, we offer online support for upcoming units, forum support, and 1-day quarterly workshops. You don't need any prior computer science experience to get started. And teachers love it! 90% rank it the best professional development ever. Click here to learn more. How can I learn about what's new or changing with the curriculum? We send out monthly updates! Sign up for future emails. Please see this page about CS Principles Inspirations to read about the influential works in computer science education that form some of the course's philosophical underpinnings. AP® is a registered trademark of the College Board.